Lower disability recurrence when workers comp patients received chiropractic maintenance care versus care provided by physical therapists are medical doctors. A study published in the April 2011 issue of The Journal of Occupational and Environmental Medicine suggests that when it comes to work related low back pain, the risk of disability recurrence is lower for patients treated primarily by a doctor of chiropractic than patients treated only\mostly by a physical therapist or a physician. 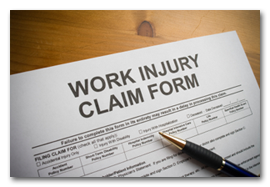 We accept workers comp cases. As an injured employee you are entitled to see a chiropractor by law. We provide the physical therapy and chiropractic services to get you better and back to work.